FROM THE INTRODUCTION BY John Le Carré : "This novel comprises some of the best work of an extremely gifted and perhaps under-regarded British crime novelist . . . What gave John Bingham his magic was something we look for in every writer, too often in vain: an absolute command of the internal landscape of his characters, acutely observed by a humane but wonderfully corrosive eye". Michael Sibley and John Prosset shared a history that dated back to their first years at boarding school, and so the news of Prosset's murder came as a great shock to his old friend - especially because Sibley had been staying only the day before at Prosset's country house, where the body was found. When the police arrive to question him in connection with the murder, Sibley finds himself lying about his recent visit, and thus begins to reveal the true nature of a longstanding but volatile friendship, fraught with mutual deception and distrust. As he tells his version of the truth to the police - and to the reader - Sibley makes the first of many fateful mistakes and finds himself not only under suspicion, but a primary suspect in the investigation. 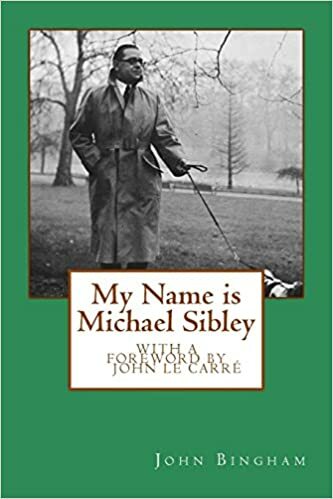 Seen through the eyes of Sibley himself, My Name Is Michael Sibley is a mesmerizing account of murder, as the narrator purposefully attempts to elude the police and prove his innocence to the reader in the same breath.